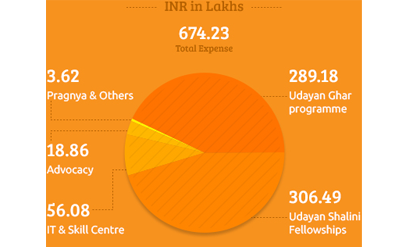 All donations made in favour of Udayan Care are exempt from taxes, as specified under u/s 80G. Tax exemption is valid in India only. Foreign nationals are not eligible for any tax exemption. Your contributions bolster our organizations strength and build our capacity to touch the lives of thousands. We offer flexible donation options, making it easy for you to invest in the future of a child or youngster. You can make a one-time donation, a monthly one or an annual contribution. This fund enables us to fill any gaps where monetary assistance is required and also supports unsponsored projects. ‘Udayan Ghars’ are residential homes for vulnerable children, where they are nurtured in a family like environment. Your generosity goes a long way in helping us provide the opportunities that children need to develop holistically, such as nutritious food, clothing, a home to call their own and admissions in schools. USF mentors and funds the education of girls from underprivileged backgrounds, builds their confidence and helps them blossom into independent young women. Through USF, we pave the way for girls to complete their Higher Secondary, college education, professional courses or vocational trainings. Your contributions bolster our organisation's strength and build our capacity to touch the lives of thousands. We offer flexible donation options, making it easy for you to invest in the future of a child or youngster. You can make a one-time donation, a monthly one or an annual contribution. 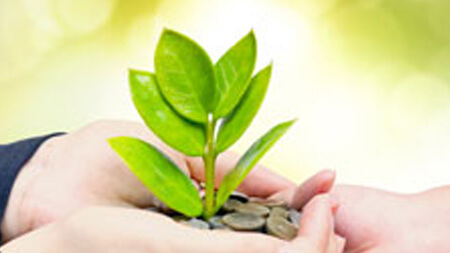 This fund enables us to fill any gaps where monetary assistance is required and also supports unsponsored projects. The Pragnya Programme cultivates academic excellence in Udayan Care beneficiaries with drive, through the powerful combination of financial assistance and industry-specific mentoring by successful professionals. Fellows are supported in their pursuit of post graduation and technical studies by availing them easy loans. Pragnya empowers young men and women to commit to their academic excellence, whilst doing their bit to serve society. We have 10 centres across 3 states, located in densely populated low-income colonies, that offer various IT courses on subjects such as DTP, Tally, Microsoft, graphic designing and other certified courses, as well as sessions to improve the spoken English and life skills of participants. These centers serve as a platform where needy youth can access technology and use it as a tool for self-empowerment. At our centres, we facilitate women from weak sections of society to improve their competency in skills that enhance their employability through courses such as IT, graphic design, stitching, beauty therapy and paper craft. To view other donation options click below link. Genpact’s association with Udayan Care is a special one. 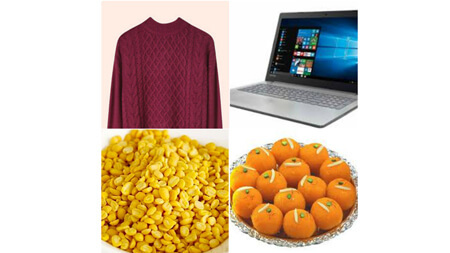 It shares the vision of the Udayan Shalini Program – a belief in women’s empowerment. This association has great meaning for all of Genpact – for the volunteers who engage with the girls, for the payroll donors which supports the cause, and for the Genpact Social Impact Fellows who are directly working to take the cause of Udayan Shalini’s to the next level. We are immensely proud of the Udayan Shalini’s and will be following their success year after year. 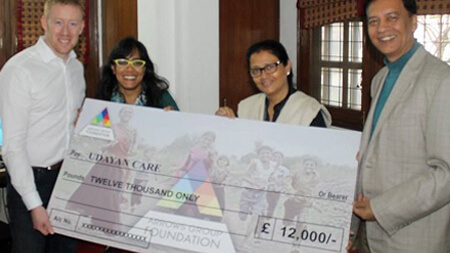 We have worked with the Udayan Care group since the Arrows Group Foundation was founded in 2015. We share similar values and focus in the work we do. We feel the support and hope that is given to the children is exceptional. The focus on education and also progression is to be commended. The biggest thing we have always been impressed with are the Mums that are given to the children. It is lovely to see children who have had difficult starts in life get the full support and love of a mum in the Udayan homes. At adidas and Reebok we believe in making the world a better place through sport. In this regard it has been an honour and privilege to support the Udayan Care family for a decade. The work that they are doing is exemplary and we are proud to be able to contribute to making a difference to the lives of children through our partnership. In future, we intend to further strengthen our association and make meaningful efforts to positively impact Udayan Care and the local communities that we live and operate in”. In the last decade, Microsoft has been fortunate to get an opportunity to collaborate on many facets of programs at Udayan Care. A learning experience for both. As a CSR professional, Kiranji and her entire team have always given their full commitment and innovative thinking for us to 'together' deliver on SDGs. And looking forward to another decade of partnership. Kishwarna Charitable Trust and Udayan Care joined hands and set up Kishwarna-Udayan Care Charitable Computer Learning Centre in 2007. It is accredited for conducting Computer Courses under Department of Electronics & Information Technology, Govt. of India. Since inception, 2585 students have been mentored towards successful career. The Trust is very confident that under the selfless leadership of Dr. Kiran Modi, who is an exceptional personality, the Centre will scale greater heights and increasingly help in achieving our common mission of upliftment of the society. 16 years ago, my 5 other colleagues and I at MakeMyTrip tutored kids in Math and English on weekends at the first Udayan Ghar. The relationship has only grown from personal to professional – as a funder, mentor and active advisor, helping with the strategic efforts in running the NGO. We have a corporate mentoring program wherein our employees mentor kids at the Udayan Ghars. These kids regularly visit our office to interact with our employees. Apart from this, our content team has been involved in designing their website and helps them with its upkeep and other creative work periodically. 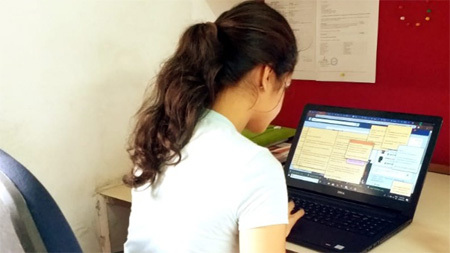 In fact, one of the girls from Udayan Care – Gurmeet Kaur worked with us in our Content team before she proceeded to pursue her passion in the TV and film world. 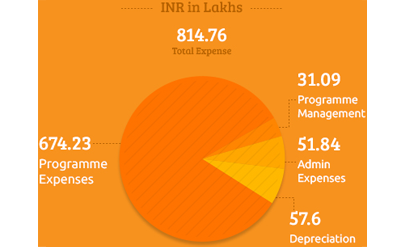 Through our payroll-giving program run by Give India, majority of our employees’ funds get routed towards Udayan Care as well. For the 11th consecutive year, our employees are again running for Udayan Care in the Airtel Delhi Half Marathon 2016!